“Robotics requires three things: patience, creativity, and unstripped bolts,” says 8th grader Cooper Schnell, a member of the junior high boys robotics team. This school year marks the second year that Nebraska Christian will have a high school and junior high Robotics program on campus. 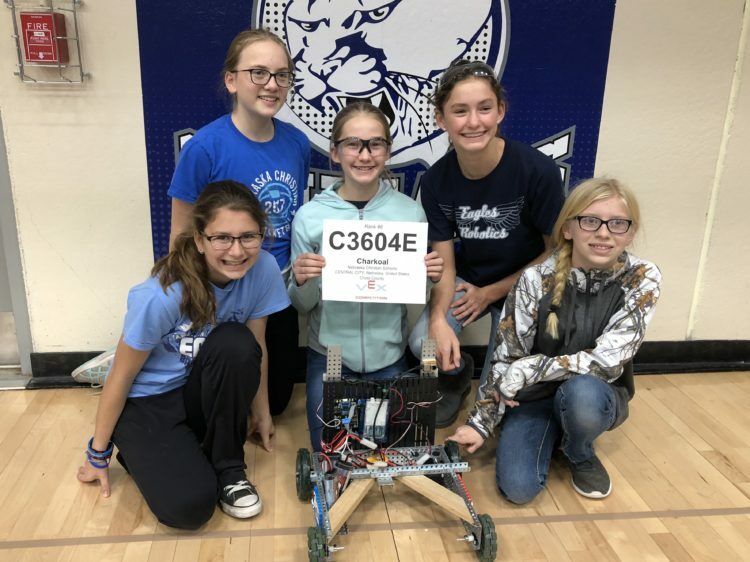 Students who are involved in this after-school activity design, build, program, and test their very own robotic creations and then travel to competitions around Nebraska. The competitors include many other teams and their robots, all trying complete a certain set of engineering challenges. The challenges are decided by Vex Robotics and are different every year. Last year, through the course of a season, the junior high and high school teams each brought home a first place trophy. The junior high team found extra success, with their robot qualifying for the National Competition held in Council Bluffs, IA. This year, the teams have grown exponentially and have had to adapt, adjust, and overcome some issues. The teams consist of one for junior high girls, one for junior high boys, and two for high schoolers: one team of all boys, and the other with boys and one girl. The junior high girls competed at a meet held at Cross County on November 19. They were up against 28 other teams, many of them high school level, yet they pulled out a 6th place finish! The teams’ next competition is on Saturday, December 15th, in Columbus. Feel free to go out and support them! Also, on January 12, 2019, Nebraska Christian will be hosting a programming clinic on campus. The robotics team will be bringing in some professionals to instruct them on some specifics in the morning, then the teams will compete in a skills competition in the afternoon. Spectators are welcome. Top photo: Junior high girls robotics team. (L to R) Amy Springer, Kylie Merchant, Amanda Needham, Amanda Carlson, Grace Strong. 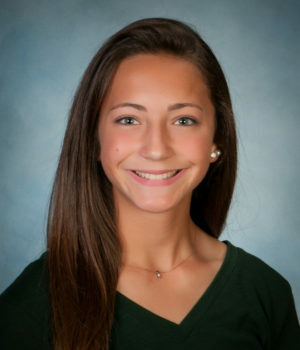 Laura Carlson will be graduating with the class of 2019. She has attended Nebraska Christian since 9th grade and runs Cross Country and Track. She is the oldest of five children, all who are enrolled at NC, and lives outside of Marquette.